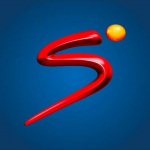 SuperSport International is looking for motivated, talented young trainees to enrol in our training program to run in Zambia through 2017. The courses will be on the Copperbelt and Lusaka Provinces. In the subject state the code your area and the discipline you are interested in. No other correspondence will be considered, short listed applicants will be contacted Via E-mail for a follow up interview. Entries close on the 21st of June 2017.